Thought we were out of the Polar Vortex but it hits again. It was -20 ~ -30 degree Celsius over here in Canada. 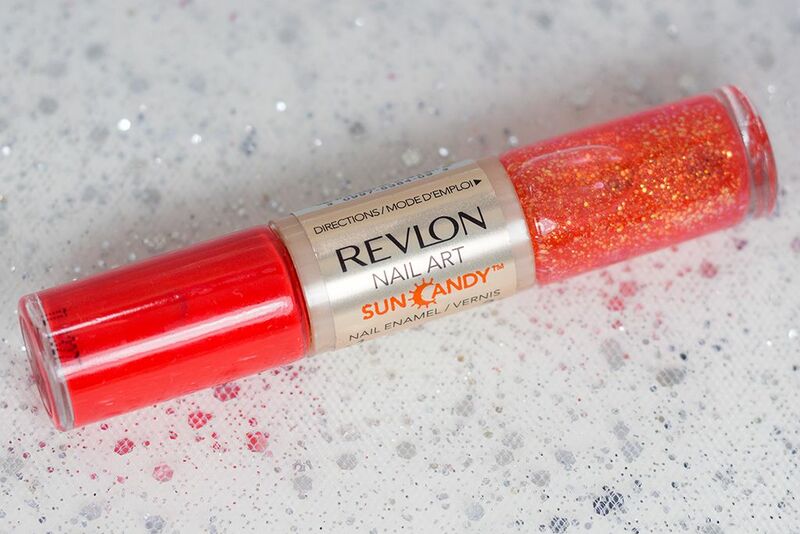 Since I'm not getting a southern island escape, I've got helped from Revlon Nail Art Sun Candy to try to bring some Sunshine in my life. 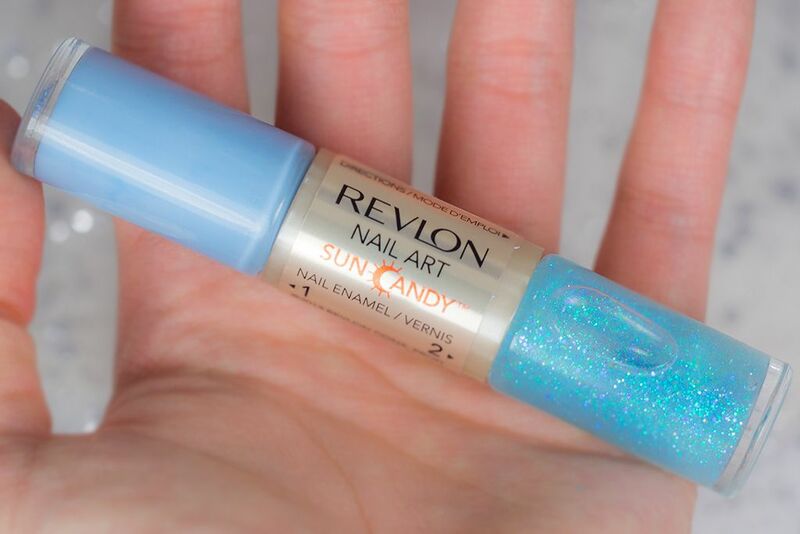 Brand new this year at the drugstore, Revlon Nail Art Sun Candy (CA $8.95) is a dual-ended nail enamel much like the existing Moon Candy. 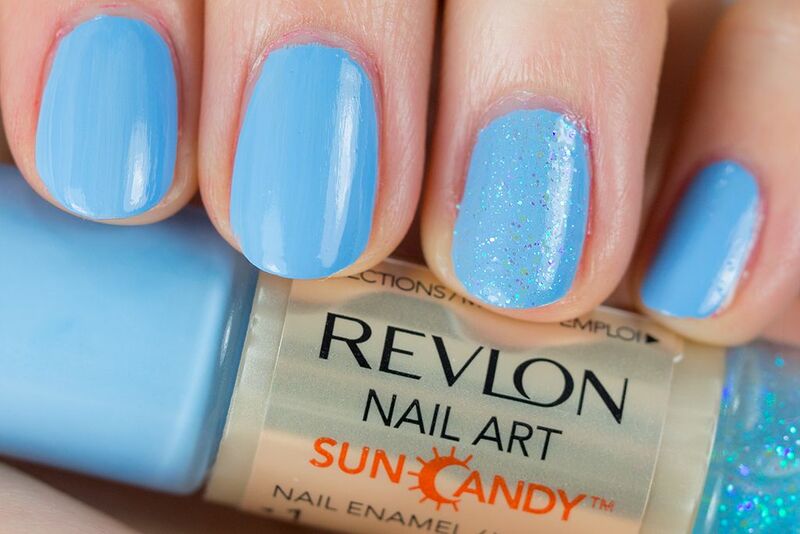 There are 8 shades in total to get you Spring and Summer ready or help you combat the Winter blues. 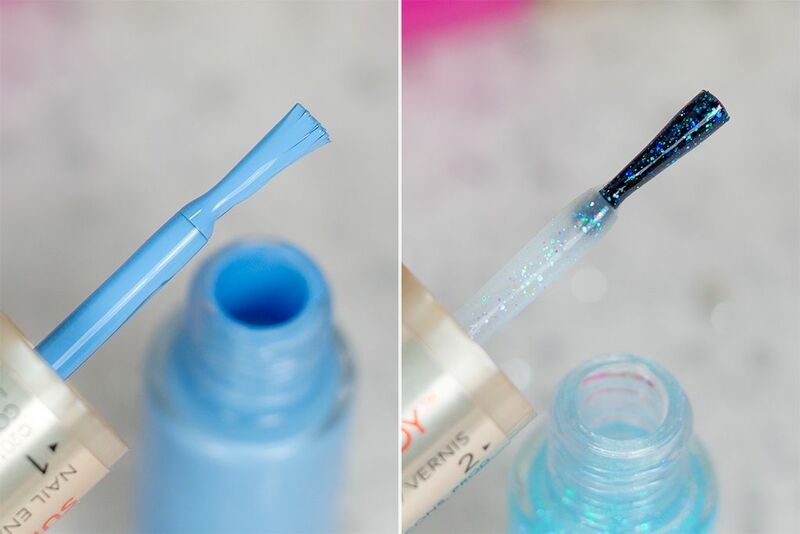 Each comes with a vibrant bright colour on one end and a complimentary iridescent top coat on another. 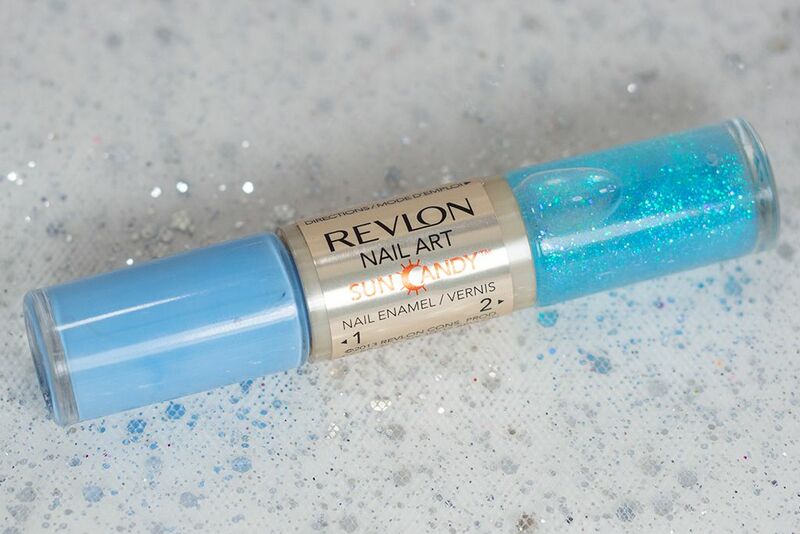 400 Northern Lights is a baby blue with a blue and silver glitter in slightly tinted blue gel. 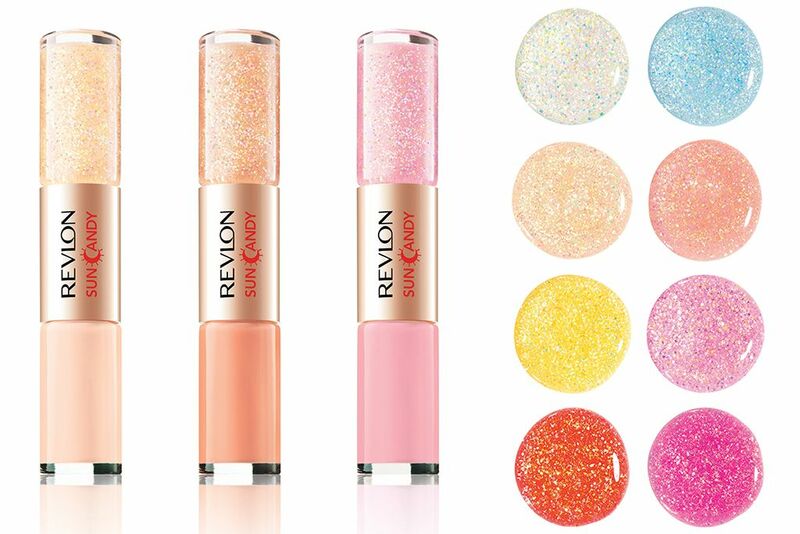 410 Shimmering Sunset is a hot pink with a pearl pink iridescent in a light pink tinted gel. 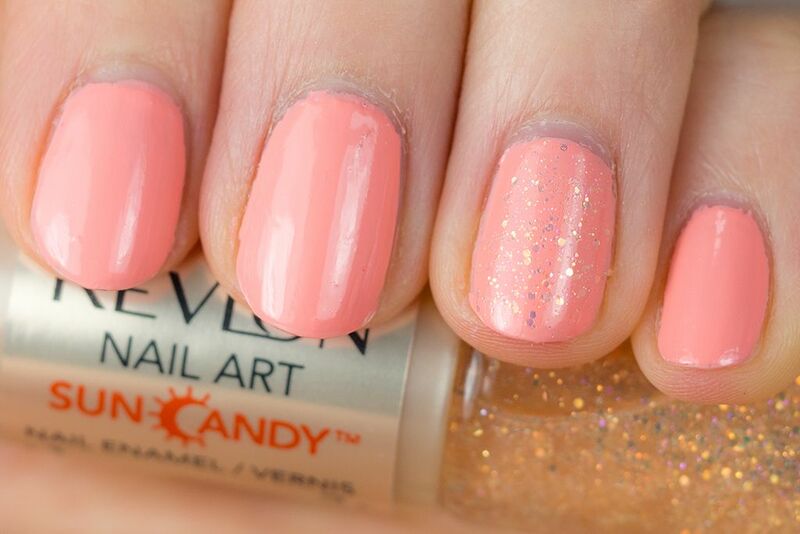 430 Solar Flare is a light peach with gold iridescent and light peach tinted gel. 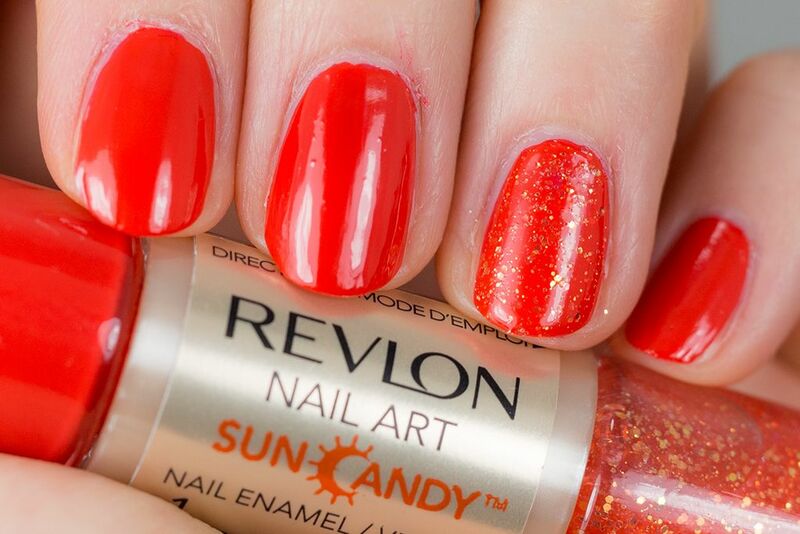 450 Lava Flame is a fiery orange with a orange tinted gel with pink/orange glitter. The brushes that it comes with are quite nice and applies the product evenly. The removal was easy, even the glitter because they're not chunky. 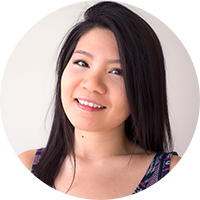 The lasting power is average that it start to wear off at the tips after 2 days but I didn't notice major chipping (I normally would remove it/change up the colour in a few days). 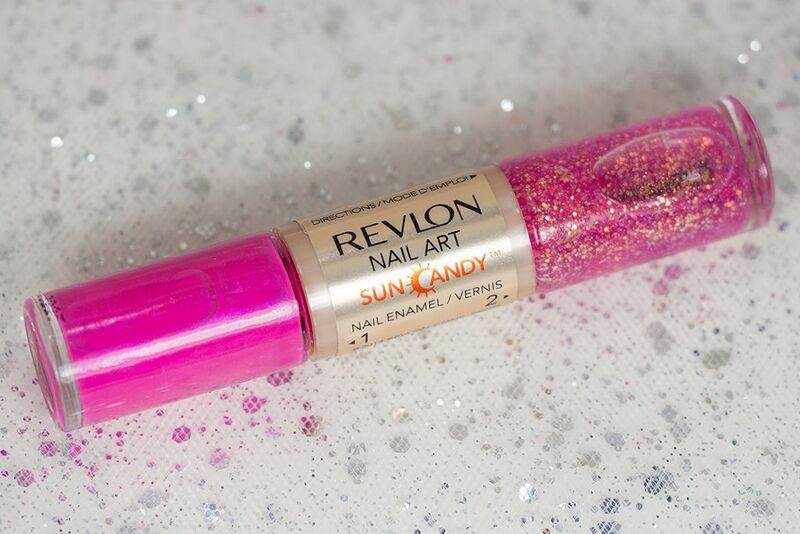 The Revlon Nail Art Sun Candy might not be the most unique product out there but you are getting two things in one convenient tube. 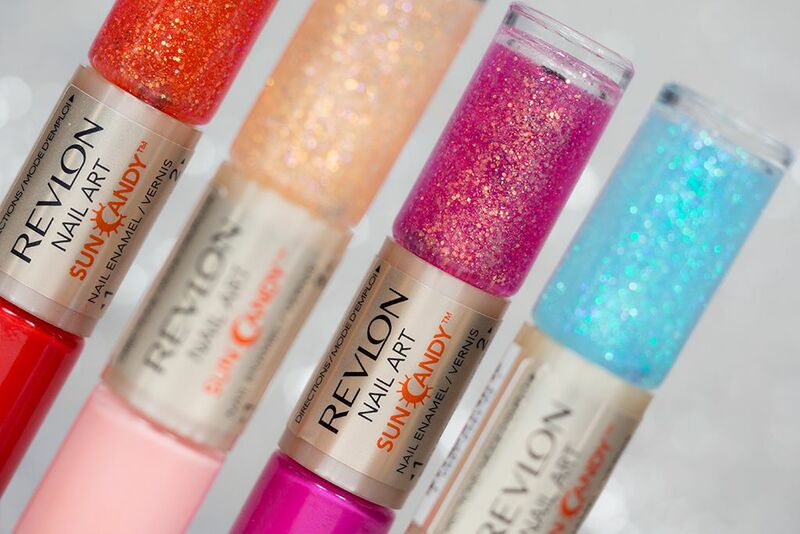 There are in total 8 shades to choose from. 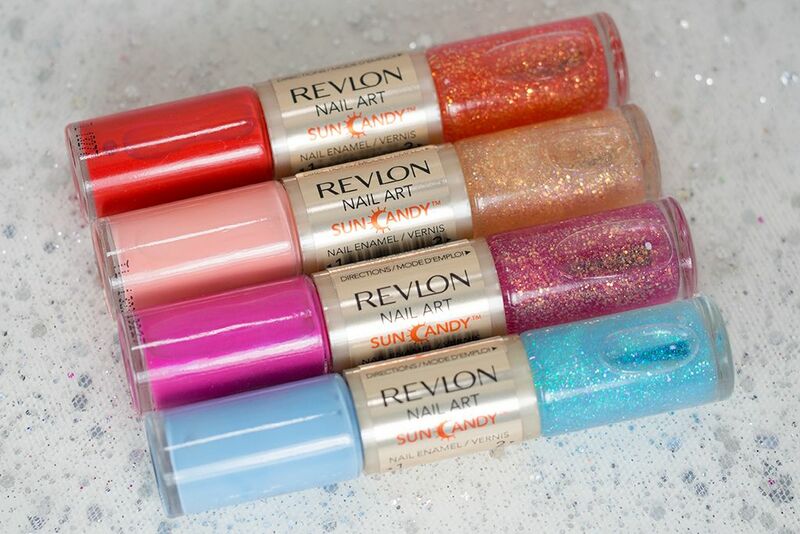 For me, I think 400 Northern Lights is a very unique colour, at least I don't own anything like that and the glitter ends are totally versatile that you can mix and match with other nail polishes with a similar hue (e.g. 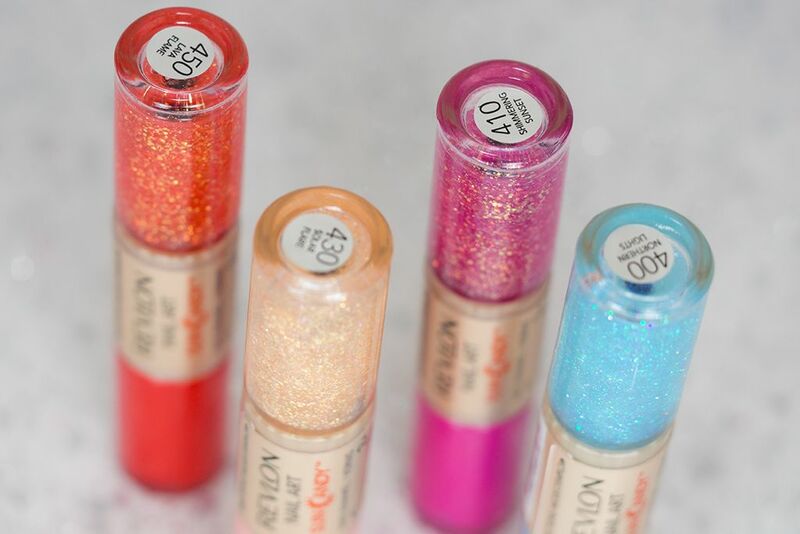 410 with any pink shades) in your collection! 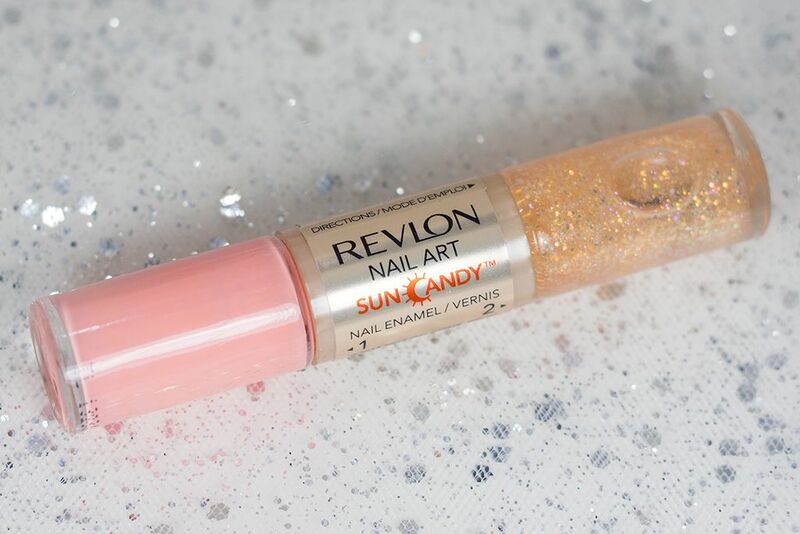 solar flare is really pretty, I've never given much thought to revlon, I always find them pricey(there are pricey where I live). I saw these and I was much attracted, maybe I'll give them another try. Great review by the way, love the quality of the pictures. How about their staying power? The blue is interesting eh! 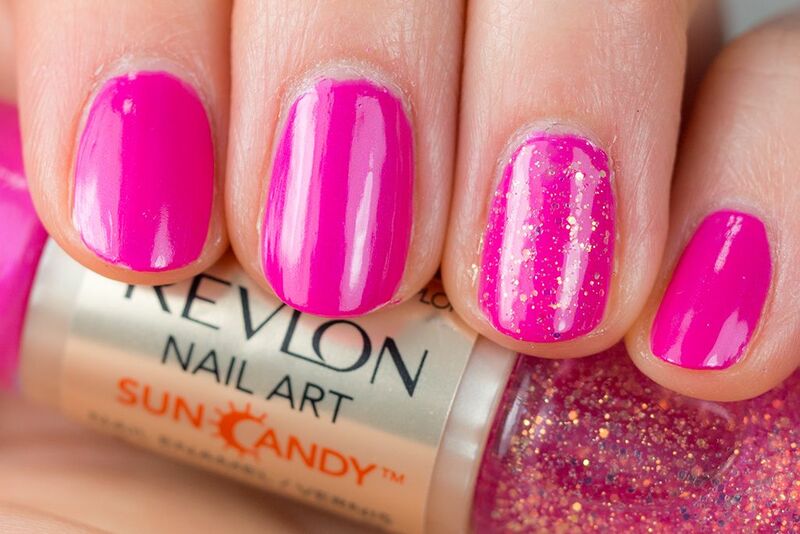 Northern Lights is a pretty, pretty color! I love it!